Egyptian presidential adviser Mohammed Ismat Seif Al-Dawla has called to urgently change the peace treaty signed in 1979 with Israel. Al-Dawla, an aide to President Mohammed Morsi, issued the call during a speech he delivered Monday at a conference on “Camp David and its Impact on Egypt's National Security.” The presidential adviser said that in its current form, the historic treaty maintains the national security of the “Zionist enemy” more than it helps Egypt's national security. The Cairo government aide claimed that amending the peace treaty between Egypt and Israel is important to help restore Egyptian control over the lawless Sinai Peninsula, where terrorists have established training and operational bases from which to carry out attacks against Israel -- and sometimes against Egyptian and Jordanian citizens and interests as well. 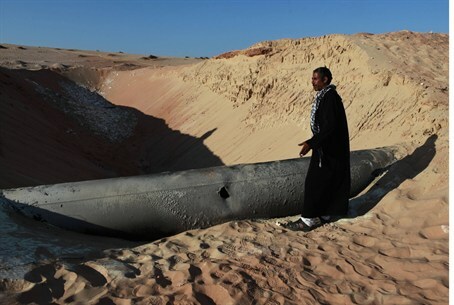 The Egyptian natural gas pipeline has been attacked and natural gas supplies to both Jordan and Israel were disrupted due to terrorist sabotage from the Sinai no less than 15 times in a little over a year. In response, a spokesman for the Egyptian president said there is currently no need to amend the peace treaty with Israel. Speaking from New York on the sidelines of the United Nations General Assembly at the time, spokesman Yasser Ali said Egypt has the troops it needs in the Sinai to restore security and will continue until success is achieved. "With all due respect to all political and intellectual luminaries on the presidential advisory panel, only the president and his spokesman speak for the presidency,” Ali said, according to the state news agency MENA. A week prior, Al-Dawla had also told the el-Gareeda newspaper that Cairo gives Washington more than it receives, according to the Egypt State Information Service (Cairo). He was also quoted as saying that Egypt has never been an ally of the United States. The Supreme Guide of the Muslim Brotherhood, the movement which Egypt's President Mohammed Morsi belongs to, called last Thursday for a jihad (holy war) to liberate Jerusalem from Israeli rule. Although Morsi has repeatedly said he would respect international treaties previously signed by Cairo, there have been multiple calls from his own Muslim Brotherhood backers, and others in the country, to "revise" the accords.